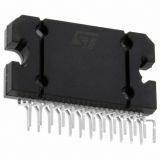 Founded in 1987 by the merger of two long-established semiconductor companies, SGS Microelettronica of Italy and Thomson Semiconducteurs of France, ST MICROELECTRONICS, also known as ST, specializes in the production of electronics and semiconductors. Based in Geneva, Switzerland, this is the largest semiconductor chips manufacturer in Europe and among the world leaders in a broad range of segments, including semiconductors for industrial applications, inkjet printheads, MEMS (Micro-Electro-Mechanical Systems) and sensors, set-top-box and home-gateway SoCs and smartcard chips, automotive integrated circuits, computer peripherals, and chips for wireless and mobile applications. The company has registered offices in the Netherlands, USA, Tokyo, Singapore, Shanghai. Today, the group has more than 43,000 employees, 11 main manufacturing sites, advanced research and development centers in 10 countries and sales offices worldwide. Since its inception, ST maintains unwavering commitment to R&D and almost a fifth of its employees are working for R&D or in product design area. Annually, ST invest about 21% of its revenue in R&D hence the company is among the most innovative and respected corporations in the field, owning over 15 000 patents and uncompromising quality. 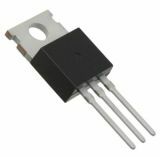 VIKIWAT Ltd. is a wholesaler and retailer, as well as a direct importer of a wide range of passive electronic components. In our offline and online stores, you can find a variety of ST MICROELECTRONICS's catalog such as standard and ultra-fast transistors, integrated circuits, triacs and many others at low prices with fast delivery. 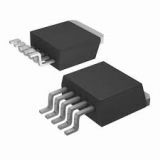 Triac ACST210-8BTR, 800V, 2A, DPAK, 10mA, SMD Simistor ACST210-8BTR with reverse voltage 800 V, maximum current in direct direction 2 A and grid current 10 mA. Triac ACS120-7SB-TR, 700V, 2A, DPAK, 10mA, SMD ACS120-7SB-TR triac simistor with reverse voltage 700 V, maximum current in direct direction 2 A and grid current 10 mA. Operational Amplifier TL062CDT, 2OA, 6~36V, SO8, 1MHz Model TL062CDT, supply voltage 6 to 36 V, case SO8 and operating temperature 0 to 70 °C. Triac BTA06-600C, 600V, 6A, TO-220AB, 50mA, THT Triac BIA06-600C with a 600 V reverse voltage, 6 A direct current and an operating temperature of -40°C to 125°C. Integrated Circuit 93C56WP K734K, Memory, 256x8bit, EEPROM, SO8 Integrated circuit 93C56WP-K734K with EEPROM memory, 256x8bit. 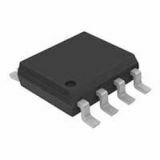 IC L78L33ACZ, linear voltage stabilizer, 3.3V, 0.1A, TO92 Linear voltage stabilizer integrated circuit L78L33ACZ with output voltage of 3.3 V and maximum output current of 0.1 A in a standard housing TO92. TDA7851A, audio BTL MOSFET power amplifier , 4x48W TDA7851A is a high quality BTL Hi-Fi audio power amplifier with MOSFET final stage with quadraphonic output with maximum power of 48 W.
Integral Circuit L7812ABV, voltage regulator, 12V, 1.5A, TO220 Unregulated voltage stabilizer L7812ABV, linear with voltage 12 V and output current 1.5 A.
Dual operational amplifier SO8, +/-16V, 32V, LM2904D Dual operational amplifier model LM2904D, SO8, supply voltage + 16 V / -16 VDC, 32 VDC, operating temperature from -40 °C tо 125 °C. List Price 0.30лв. VAT Incl. 0.27лв. VAT Incl. 0.24лв. VAT Incl. 0.21лв. VAT Incl. 0.18лв. VAT Incl. Dual operational amplifier SO8, +/-16V, 32V, LM258D Dual operational amplifier model LM258D, SO8, supply voltage + 16 V / -16 VDC, 32 VDC, operating temperature from -40 °C tо 125 °C. List Price 1.00лв. VAT Incl. 0.95лв. VAT Incl. 0.90лв. VAT Incl. 0.85лв. VAT Incl. List Price 5.90лв. VAT Incl. 5.60лв. VAT Incl. 5.30лв. VAT Incl. 5.00лв. VAT Incl. 4.72лв. VAT Incl. 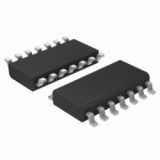 IC M24C08-WMN6P, 8 Kbit Serial I2 C Bus EEPROM with User-Defined Block Write Protection, SO8 IC 24C08, 8 Kbit Serial I2 C Bus EEPROM with User-Defined Block Write Protection, SO8. List Price 0.40лв. VAT Incl. 0.36лв. VAT Incl. 0.32лв. VAT Incl. 0.28лв. VAT Incl. 0.24лв. VAT Incl. 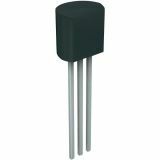 Integrated Circuit LM224D, quad operational amplifier, 1.3MHz, 100dB, 15~30V, SO14 Quad Operational Amplifier LM224D with housing SO14, supply voltage 15 to 30 V, operating temperature from -40°C to 105°C, 1.3 MHz bandwidth and 100 dB gain. List Price 0.40лв. VAT Incl. 0.38лв. VAT Incl. 0.34лв. VAT Incl. 0.32лв. VAT Incl. 0.30лв. VAT Incl. Quad operational amplifier SO14, +/-18VDC, LM239D Quad operational amplifier model LM239D, SO14, supply voltage to + 18 VDC / - 18 VDC, operating temperature from 0 °C tо 70 °C. 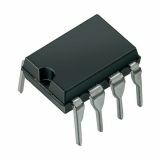 IC 24C01, 2-Wire Serial EEPROM 1K (128 x 8), SO8 Integrated circuit 24C01, 2-Wire Serial EEPROM 1K (128 x 8), SO8.